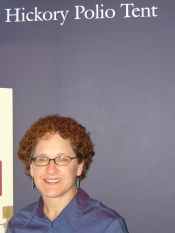 On Friday, October 28, the 2006 AAUW Juvenile Literature Award was presented to Joyce Moyer Hostetter for Blue, a novel set in Hickory, NC during World War II. 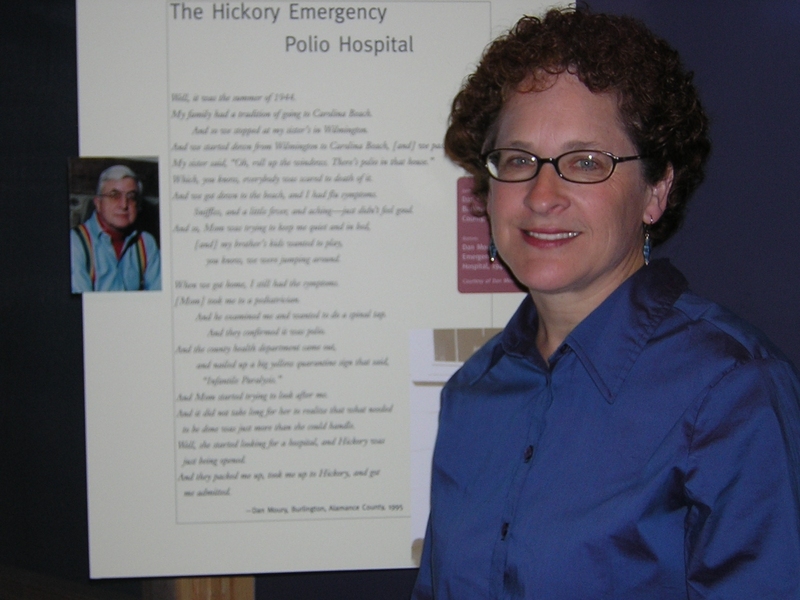 With her father away at war to fight Hitler, Ann Fay Honeycutt gains strength by joining her community in battling polio, in a story based on the 1944 epidemic in Hickory, North Carolina. The presentation was part of the program of the North Carolina Literary and Historical Society, the group that oversees the process for soliciting nominations and selecting the winner. The North Carolina Museum of History was a particularly appropriate setting for the event, since a display on the “Miracle of Hickory” (the establishment of a temporary hospital for polio victims in just a few days) is on the third floor of the museum. AAUW NC membership vice president Barbara White, AAUW NC president Nancy Shoemaker and Ms. Hostetter’s husband Chuck joined Ms. Hostetter for a tour of the exhibit before the award ceremony. 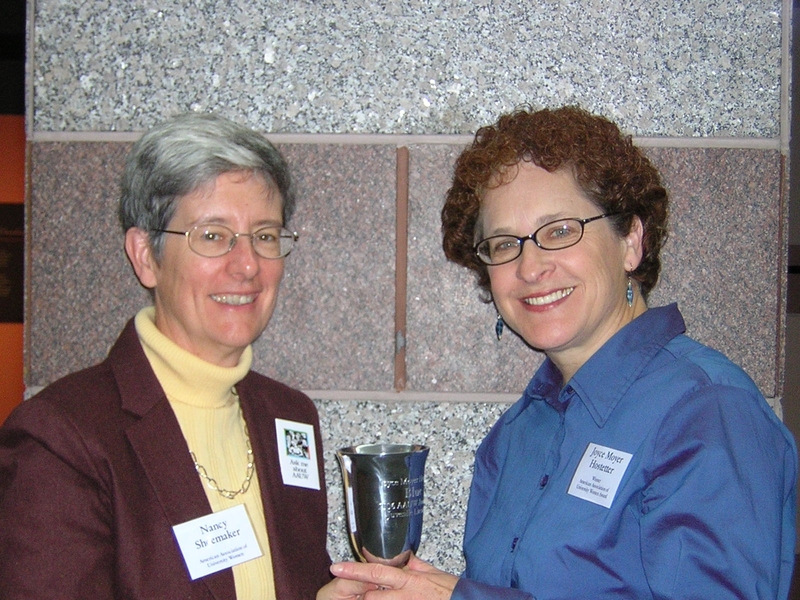 Elizabeth Laney, past-president of AAUW NC, handled the arrangements for the award for AAUW, but was unable to attend the presentation ceremony. Thanks to the NC Literary and Historical Association for their work in administering this award. See also previous postings on the announcement of the winner and the announcement of the nominees.